Wood Plastic Composite Drop Mats and Walkways from APR are all Australian made, are non-permeable and designed to meet your specific requirements. 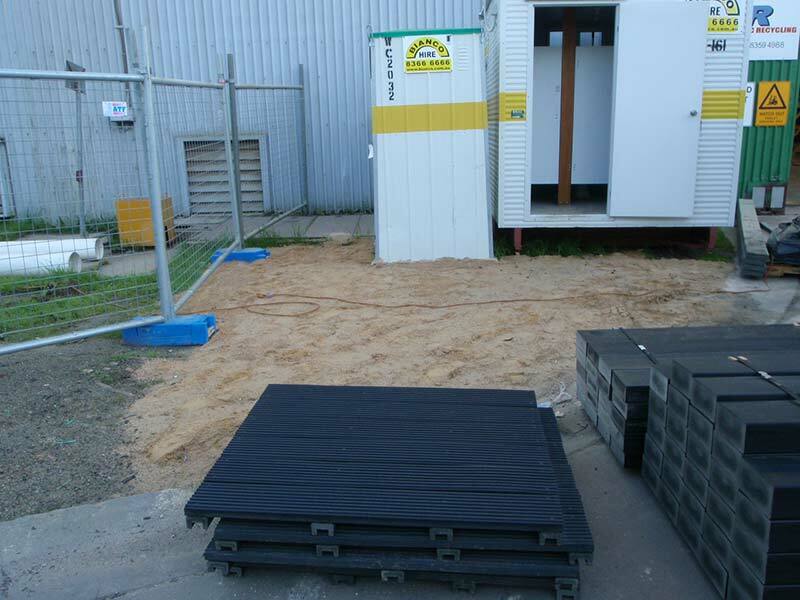 The Wood Plastic Composite Drop Mats and Mobile Walkways are designed for ease of use and are quick to install. Designed with the environment in mind, APR create and supply mobile and fixed drop mats and walkways for use in any conditions. 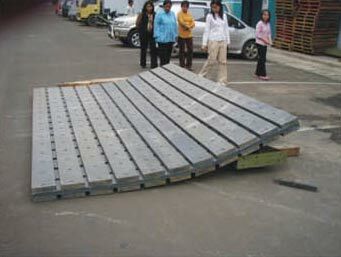 They are a perfect fit for temporary path ways from an office block to a work shop or even the Oval Office. No need to ever concrete again on the mining camp site or work site. APR can supply drop mats and mobile walkways in a modular system which can then be installed as you require them. 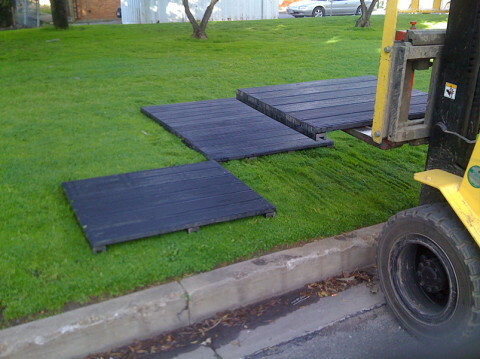 These mats can be purchased and owned or leased to comply with your needs. 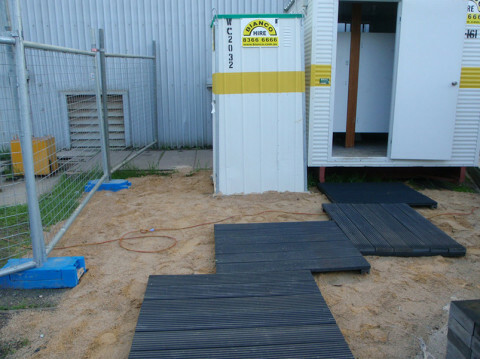 Once installed they provide a great and secure way to move around any site. APR drop mats and mobile walkways provide a unique opportunity for big industry to become involved with environmental and sustainable products.